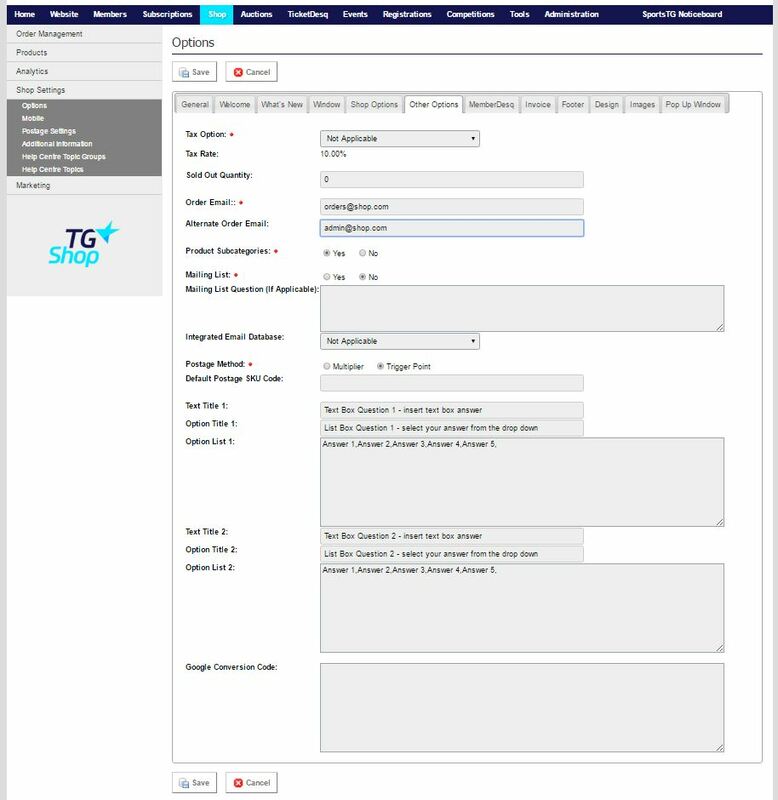 Order Email: This email is used by the system to let a shop administrator know when an order has been placed. It is also the email address used when a buyer receives their receipt from the system. This allows the email to look like it has come from your organisation through the system. Alternate Order Email: Sends an email to this email address when someone makes an order. Used by organisations with more than one shop administrator. Product Sub-Categories: Select “Yes” if your organisation will use sub-categories. Mailing List Question: Only applicable if Mailing List option is set to “Yes”. It allows an organisation to create their own Yes/No question. Eg. “Would you like to receive additional offer information from our organisation”. Integrated Email Database: Only applicable if Mailing List option is set to “Yes”. Allows the organisation to select which database those people who select “Yes” to opt-in will be placed in. Postage Method: Select which postage method you would like to use. Text Title 1: Add in custom field questions if you would like to ask your customers something as they check out.